W elcome to the tiny village of Sayulita…a place where the word magic is used by both locals and tourist to describe its compelling blend of natural beauty, friendly people, organic food and a gentle way of life that is changing, but slowly. 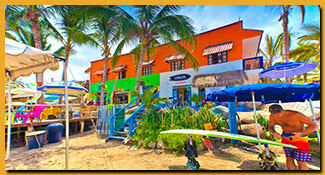 This picturesque fishing village is tucked along a bay on the Pacific coast roughly 30 miles north of Puerto Vallarta. It is a place where not everyone goes, and that is part of its charm. 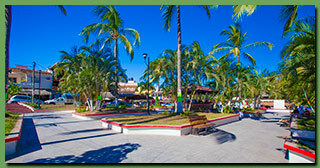 Sayulita, like many old villages in Mexico, was built around El Centro, it’s a park like square that is a central meeting place, as its name implies. The Hotel Vogue (Bungalows de los Arbolitos) is located diagonally across the street, and just 200 steps to the ocean, right in the heart of town. Fruits, vegetables and coffee, including other supplies needed for your stay are available in even the smallest neighborhood markets. Fresh fish and grass-fed beef are also plentiful. Many restaurants prepare these fresh foods, each with their own flare. Food stands serving local favorites are popular. Whether you’re looking for an elegant seaside table with a multicourse meal and a serenade, a quick bite cooked on a cart in front of you, or groceries for an impromptu happy hour, you’ll find it here. 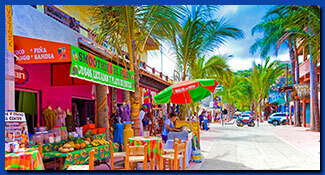 Sayulita’s beach is a broad, curving beach. Surfing is part of the way of life here and vendors offer equipment for surfing and stand-up paddle boarding plus lessons to get you started. Looking for the best place for lunch and a Margarita? Several restaurants that are beachside, offer cosy tables shaded by giant umbrellas just a stone’s throw from the water. Humpback whales live in the warm waters of the bay, birthing their young, frolic with bootle-nose dolphins and delighting tourists who can take tour-sanctioned boats from many towns along the bay to see them up close. This awesome experience defies words. Looking for a little adventure? Hiking, biking and ziplining are available. Staff at Hotel Vogue can recommend tour companies and help you with reservations. On any evening just outside the doors of Hotel Vogue, allow yourself to be tempted by the offerings of the Cake Lady and her moist and fragrant cakes baked in her home that morning. Check out an organization called Sayulitaanimals, which has had huge success in improving the welfare of dogs and cats here. The Hotel Vogue offers paperbacks and also offer free WiFi, but if you want to take a walk with your wireless devises, stop at the book store or coffee bars with large collections of much loved paperbacks. 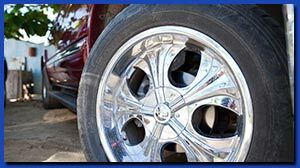 If you fly into Puerta Vallarta, consider skipping the rental car. Instead, relax and take a taxi or the bus. The Hotel Vogue will arrange for a round trip transportation…you will be dropped off at your door and picked up when it’s time for you to return to the airport. There is endless sunshine here, with just enough clouds to remind you they still exist. Rain is rare. Early mornings can be cool 65-70F, so include a light jacket or sweater. 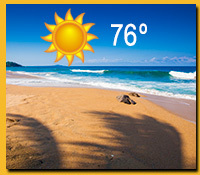 By late morning, it will edge up to 85F and it will then begin to drop again in the early evening. Summers are hot and melt into late summer rainy season…daily showers, usually late afternoon, just in time for a siesta on a breeze cooled patio at Hotel Vogue.